NXT® Cool Zone® is a remarkable new roof coating utilising revolutionary heat beating technology to reduce the temperature of your home. NXT® Cool Zone® is manufactured by the multi award winning Nutech Paint, Australia's largest and oldest roof coating specialists. Nutech has spent more on roof coating research and development than all our competition combined and is backed by more than 35 years of experience. 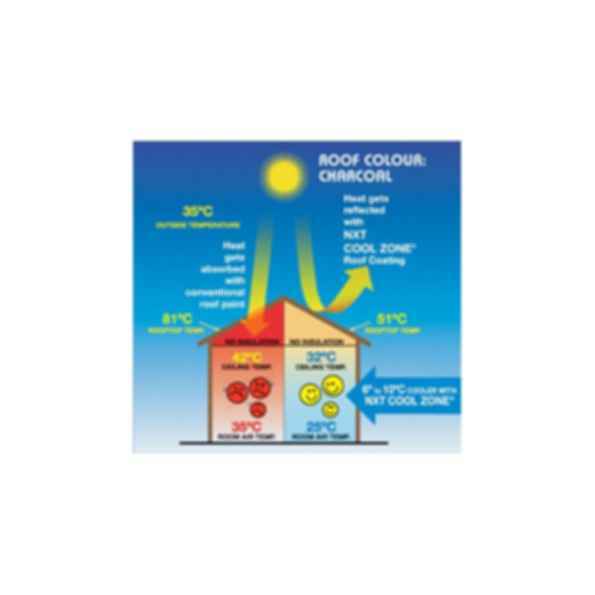 Unpainted roof tiles, coloured metal sheeting and conventional dark coloured roof paint including black, charcoal, and deep browns and reds absorb up to 97% of the sun's heat. Until now a white reflective roof coating was the only way to prevent your roof heating up. However white and highly reflective coatings are not usually acceptable from a design perspective. in Australia produce more than 1 millon gallons of Roof paint per year. Nutech Roof Coatings have now been applied to over 800,000 Roofs World Wide. Nutech has developed a range of roof finish coats for outstanding water and alkali resistance, plus excellent gloss retention, hardness, flexibility, adhesion and weathering properties. 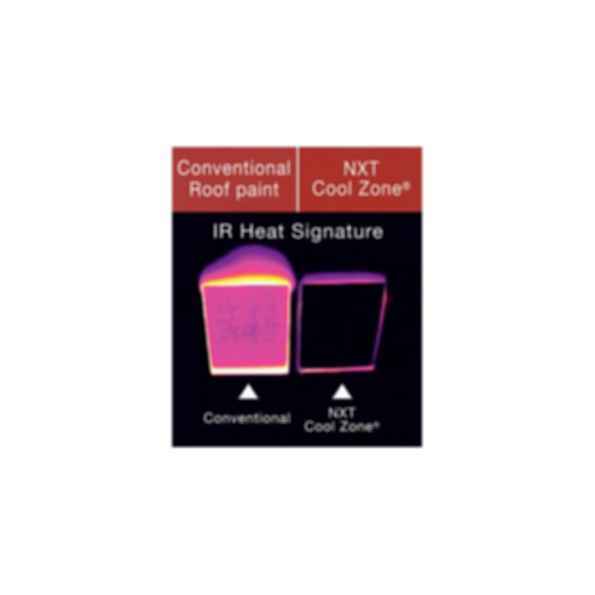 Our NXT Eco Paint range, including NXT Cool Zone heat reflective roof coating incorporating Thermal Protection Technology will keep your home up 50Â°f (10Â°c) cooler and save you money.